Following the successful launch of Aviva’s new campaign in September, this week sees the launch of the third of four commercials supporting the brand. 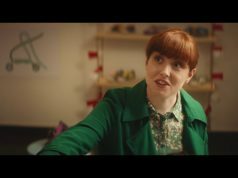 The new car insurance commercial ‘Driving Mum’ launched on the 22nd October and will run during the coming weeks in conjunction with the ‘The Dream’ featuring Irish sports icons, Roy Keane and Brian O’Driscoll. The new car commercial features the sometimes strained relationship between a mother and her daughter who is taking her on a short car journey to an evening engagement. On the way they encounter a ‘small surprise’ that raises the tension in the car. However, all is resolved when the underlying love and concern of the daughter comes to the fore. All the films were created by BBDO Dublin and directed by leading Irish drama director John Hayes through Sweet Media. John has directed ITV’s hit drama Bancroft, as well as episodes of popular programmes such as ‘Vera’, ‘Home Fires’ and ‘Doctor Who’. ‘Driving Mum’ will be followed by the final commercial for home insurance which will rotate, along with ‘The Dream’. They will reinforce Aviva’s market leading position in car and home insurance, and help develop Aviva’s life insurance business after the acquisition of Friend’s First in 2018. The campaign is being supported with ongoing online and social activity.